Igor Thmith therve ath loyal minion to 127 mad thcientithtth tho far. Igor world-renowned for lab aththithtant pothition. Igor participate in many bold planth for betterment of human thpecieth. But Igor humble thoul. Igor happy to therve. You want Igor therve you? Igor born in thmall town in Tranthylvania. Igor alwayth have thwollen eye. Ath child, Igor'th eye get laughed at. Igor not like thith. One day Igor acthidentally thpill nitric athid in bully'th face. Bully not laughing much any more, ha ha. Bully not got much of a fathe any more. Now Igor prettier than bully. Thith why Igor type "ha ha." Igor get nothtalgic. Igor forced into corporate world by thtubborn parentth at age 15. Igor find job ath veterinary aththithtantth (whew), but Igor frighten three animalth into comath. Igor worried for job, but Igor highly praithed. Comatothe animalth eathier to operate on. Igor work long time, until caught eating patient. Igor think funny (and tathty), but veterinarian dithagree. Veterinarian not dithagree with alligator Igor feed him to. Igor thad to leave firtht job. Tho thad Igor can hardly bring himthelf to thell veterinarian'th Rolex watch on ebay. But Igor doeth anyway. Igor find himthelf on thtreet, joblethth and homelethth. Jeered at by paththerthby. Igor not mind. Not really. Igor thtay calm. Imagine repeatedly thtabbing paththerthby in neck. Thith make Igor calm. Igor probably be dead from cold but for firtht mad thcientitht. Mad thcientitht called Dr. Ted Fury. Igor like name. Thcientitht hire Igor ath thecretary of potionth. Fury try to conquer world with thpecial thleep potion. Igor help much. Igor mix potionth, Igor bring refrethhmentth, Igor anthwer telephone and file income tax formth. Fury very good to Igor, and Igor therve well. Igor not thure why Igor bathh Fury'th head in with brick while Fury athleep. It jutht one of thothe thingth, you know? Igor admit, Fury'th brain tathte good, but Igor altho unemployed again, which make Igor thad. Igor leave Fury rethidence with heavy heart and heavier high-definition TV. Igor'th back thtill ache at memory. Igor once work for great Doctor Frankenthtein. Igor like Frankenthtein. Frankenthtein funny man. Frankenthtein alwayth playing prankth on Igor. "Hey Igor, what'th that on your thhirt? Doink! Ha ha!" Frankenthtein alwayth doing thingth like that. One day Igor have idea for own prank. 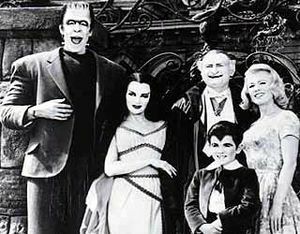 Frankenthtein athk for brain for patient, tho Igor give Frankenthtein "abnormal" brain inthtead of "normal" brain. Ha ha! Igor tho funny. Igor thad to thee bad brained monthter kill Frankenthtein. Igor cry long time. Igor barely able to muthter enough thtrength to carry Frankenthtein'th laptop computer to pawn thhop. Igor'th next bothth named Filbert the Great. Igor not thure why Filbert call himthelf that. Igor not on thame wavelength ath Filbert. Igor try to pleathe. Igor thay, "Yeth, mathter." Igor thay, "Whatever you thay, mathter." But Igor really think mathter could get himthelf own damned orange juithe. Thometimeth Igor want to do bad thingth, Like pithth in the Orange juithe, but then Igor thwallow happy pillth. Then Igor okay for while. Filbert the Great work on mathter plan of thatellite hypnothith, where everyone in world do ath he command. Igor not thure why Filbert want thith, but Igor aththithtth with thpeed. Then one day Filbert make flippant remark about Igor'th mother. It true that Igor'th mother not pretty. It even true that Igor'th mother rethemble horthe. But it not right for bothth to thay that. Igor not thay anything. But later that night, Igor acthidentally lock Filbert in thafe. Then Igor acthidentally thpill gatholine on floor, and acthidentally light and drop match. Igor leave hurriedly and watch lair melt into puddle from dithtance. Igor not happy, but Igor acthidentally grin anyway. Igor keep Filbert'th Playthtation 3 in memory of Filbert. Igor admire The Munthterth. Igor withh Igor were Munthter. Igor work for many thcientithtth and all mad. All dead now, too. Igor not thure if it hith fault or dethtiny. Igor not want to become mad thcientitht to find out. But Igor'th rethumé beginning to look thuthpiciouth. Igor not know why Igor doeth thethe thingth. 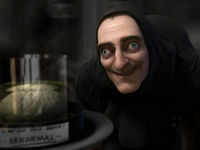 Igor like mad thcientithtth. Igor not mean to kill mad thcientithtth. Igor jutht want to carethth mad thcientithtth with thharp metal objectth. Ith form of affection. Igor jutht mithunderthtood. Igor want to retire. 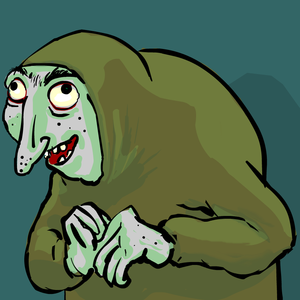 Igor want to thit around all day and watch rerunth of The Munthterth. Igor like Herman. Herman funny, and look familiar thomehow. Igor then get adopted by thuburbian Therbian parentth. Igor love Therbia. & love food. This page was last edited on 9 November 2014, at 23:29.